With over 330,000 personal training jobs forecasted in the US by 2026 and a growing body of fitness-conscious individuals, it seems now, more than ever, is the best time to start a personal training business. 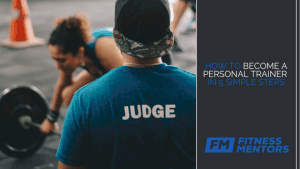 However, without a strategy or a sound personal trainer business plan, you’ll make the process of becoming a self-employed personal trainer harder than it needs to be. To help you start a personal training business that has the greatest chance of success, we’ve put together this ultimate guide so you can avoid common pitfalls, save money, and understand how to put a business plan together that works. And if you want an even deeper dive into business structure, building your book of business, sales techniques, and more, check out the online masterclass, Business and Sales: The Guide to Success as a Personal Trainer. Today’s personal trainers come from a mixed bag of backgrounds. Some work at gyms, others with colleges or sports teams, many work at community centers, and some create their own personal training businesses. 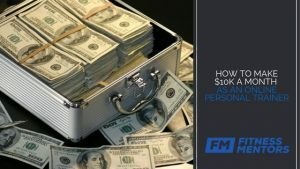 In a recent post on personal trainer salaries, we discussed a payment structure where the trainer could bring in their own clients to gyms that they had relationships with. In these relationships, the personal trainer and their clients are independent from the gym’s payroll or clientbase, respectively. The gym allows trainers and their clients to utilize their facilities and the trainer is able to charge whatever they can negotiate with their clients. The catch is that the trainer will pay the gym a fee each time the facilities are used. An increasingly popular personal training business is taking your in-person personal training services to the homes or facilities of your clients. If you are interested in this route, there are a few things that you’ll have to keep in mind as you start an in-home personal personal trainer business. The main question and concern you’ll have as an in-home personal trainer is the type of equipment the client has or that you need to bring. If a client lives within a gated community, condo, or other association with a community gym, then you may have access to some decent machines and/or equipment. If the training setting is, for example, your client’s living room, you’ll have to get more creative. This may limit the exercises you are able to perform and may impact the results without proper planning. Regardless, a good trainer can adjust to the equipment on hand and will figure out a way to make the training as effective as possible. In-home personal training in your own homes is similar to training at your clients’ homes with the exception that the training is performed at your home and your clients come to you. Most trainers I know who train at their own homes have fairly elaborate garages that are built out to accomodate a number of different machines and equipment. This too is a popular form of personal training and can be an ideal business model for trainers who have the space within their homes or who don’t mind clients coming to their personal residences. Online personal training is by far the most exciting new personal training business model out there. Compared to the other personal training business models, this model varies in that the personal trainer does not have to meet in-person with a client to create a massive impact on their health. In fact, because of new technology, a trainer can work online from anywhere in the world and change the lives of tens, hundreds, thousands and even millions of people. So, what is an online personal trainer? An Online Personal Trainer is someone who enhances the health of others through internet-based technological mediums. The private personal online model is most like traditional in-person training. The trainer performs all the tasks of a normal personal trainer but does not work with the client in-person. Through specific software, phone, email and text messaging, this trainer provides all the tools and programming needed to achieve a fitness goal, and the client follows along without the trainer being present. Premade, downloadable programs are made by the trainer and published online. These non-personalized models involve zero client interaction and are generally pushed over to the client through automated software. Video fitness programs have been around for a long time. However, the advantages for today’s trainers are the ability to store their premade workout programs online and provide immediate access to a workout video library. Like the PDF programs, there is no client interaction. looking to take their business online. Video chats or calls allow the trainer to see, hear, and interact with a client live, but not actually in-person. This allows the trainer, and client, to benefit from immediate feedback on form, exercise demonstrations, and cueing. The online group personal trainer performs live group fitness classes, records them, and delivers them to as many people as possible. Think of on-demand workout classes — Online Boot Camp, Yoga, Pilates, Etc.– that require membership to access the content. Companies like Peloton have cornered this niche exceptionally well and proven people will subscribe to workout in the comfort of their homes. Now that you have gone through the foundational steps of getting certified, specializing, launching a brand, and choosing the type of personal training business you want to start, now you’ll need to move on to business development. We do a deep dive on the below in our Business and Sales course, but here are some talking points you’ll want to include in your personal trainer business plan. Location- Where are you training? A trainer in Malibu will justify charging more than a trainer in Compton. Economy- Personal training is a luxury item for most. When the economy turns, so does interest in luxury items. Be understanding of this when setting prices. Target Population- Set a price that is attainable for your target population by understanding what they might pay for your products/services. Cost to Train Client- Consider things like the travel expenses, the payments you have to make to use a private gym, tools and equipment such as machines and dumbbells, and other expenses like software. You should understand the difference between gross and net income. If every trainer pitched a potential client and got “Yes, I’m in” as an answer we’d all be rich. Thing is, people are not always convinced of your value and have what we call buyer hesitation. Here are some areas that are common for buyer hesitation and how you can address them. Fear of failure- The thought of accomplishment can outweigh the fear of failure; attach a positive emotion toward your service and give them a little more inclination to buy. Perceived value is less than the cost- Your presentation for services must convince the buyer that the the money is worth the expense. Money- Quite simply, if you have approached a potential client and they truly do not have the means to purchase, then the sale will be impossible. It is important to find that out as soon as possible rather than spend a lot of time/effort only to find you are out of their league. Lack of proof- If a client does not believe what you are selling will work, they will be hesitant to buy. Combat this with examples of clients like them that have experienced the results you are selling. Personal training marketing… There can be entire books written on the topic and while related to starting a personal training business, it goes so far beyond those beginning stages. If you are planning on getting some help with your marketing and hiring a firm or doing some advertising, note that the U.S. Small Business Administration (SBA) recommends spending 7 to 8 percent of your gross revenue for marketing, and up to 10 percent if you want to be a bit more aggressive. This ultimate guide has nearly everything you need to begin the process of starting your very own personal training business. 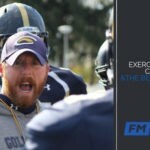 If you need extra guidance, or like the idea of a reputable personal training certification, check out the Fitness Mentors CPT. If you already are a trainer but want to further specialize and hone your knowledge, check out our CEU courses and blog. If you want a full course on the above with more details and step-by-step instruction, check out our Business and Sales course.